In Sometimes I Forget I wrote about how easy it to forget sometimes, that our son has Down syndrome. There are some days that the fact he has Down syndrome is no different than the fact that he has blue eyes, or blonde hair. It’s there, but no big deal. It is such a small part of him, that it’s easy to forget, until I remember. Sometime I remember and am in awe at all he has overcome. I am inspired by his determination and will. I am proud if his accomplishments and achievements. I am confident that he can conquer anything that this world has for him. I am entranced by his laughing eyes and goofy antics. 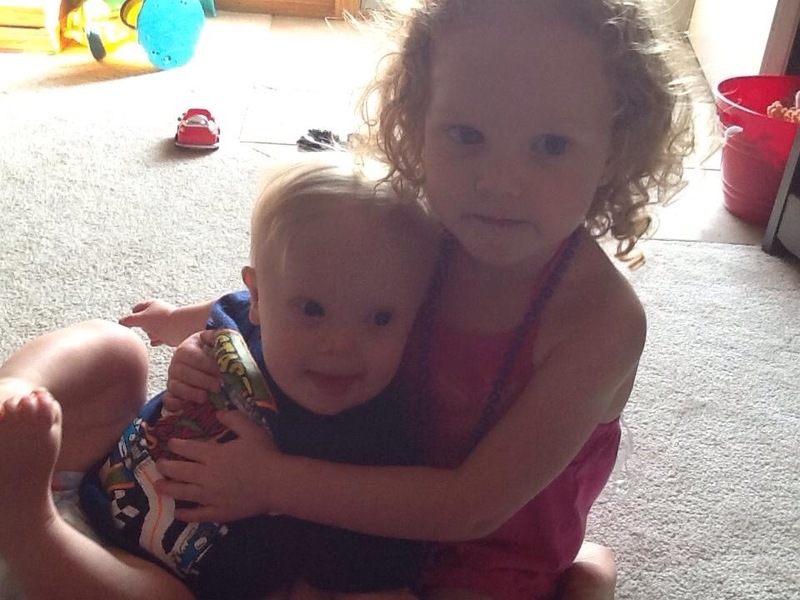 I am captivated by the unconditional love that he and his sister show towards each other. Somedays I remember that I am the mom of a child with Down syndrome and I am completely okay with that. Then some days I’m not. The realization of it grips my heart with such a fierceness that it seems to take my breath away. 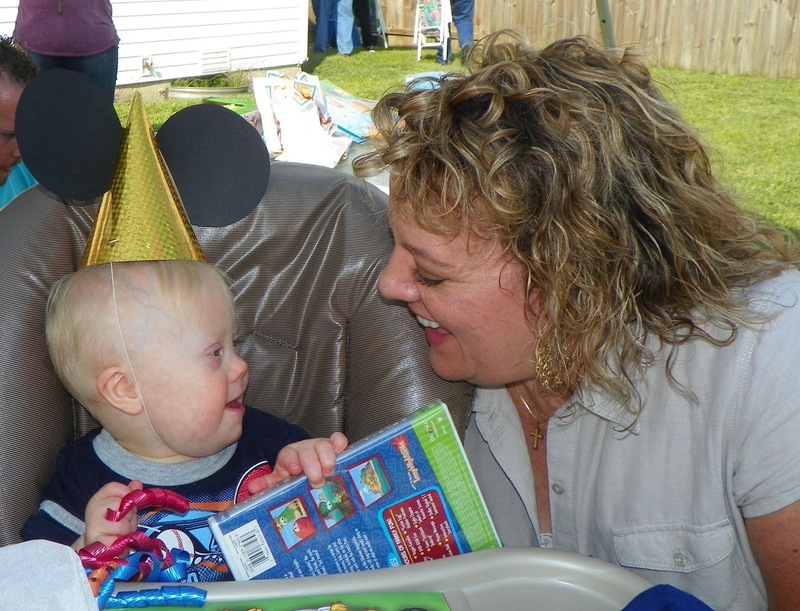 There is a heaviness that overcomes me as I look upon my son wishing that I could take away the extra chromosome. The one that reveals itself in his eyes, his walk, his speech. The one that forces him to work ten times harder than his “typical” peers to achieve. The one that makes him a target for glances that linger seconds too long and conversations uttered in hushed tones. The fear of the unknown coupled with worries for his future leave me paralyzed. Have I done enough? Can I do enough? To ensure that the world is changed enough for him to not just live and coexist in, but to thrive and excel and inspire. There isn’t much that can be done to prevent those days. But for the days that you remember, and begin to feel overwhelmed, remember that you’re not alone. I have those days too. I find comfort from others who have beaten down the path before me. I find safety in walking neatly in their footsteps. Their words give me encouragement and hope that those days will become less and less as my child grows. I find security in holding my boy close and accepting the hugs and kisses he so freely give. To hold his hand in mine reassures me that together we will conquer all. On the days that you remember, also remember how far you’ve come. Allow yourself to be reminded of the incredibleness that is your child. A being that was fearfully and wonderfully made. A son or daughter who has overcome insurmountable odds to even be here. Take a moment to remember the other days, the ones that occur more often, the days when you’re okay. Because, you are. Even on the days you remember and you feel like you’re crumbling, just know that you’re okay. You’re not wrong in how you feel, you’re a mom, who wants what every other mom wants. This day will pass, you’ll go on and weeks will pass before another one. Then months and then years and eventually you will look back and wish you had known on those days that you remembered, that will be okay. When faced with situations that are unfamiliar or uncomfortable we often reach out to others for their support, encouragement or guidance. When a baby or toddler isn’t sure how to respond in a situation, you can often see them looking to their parents to gauge their reaction. It’s innate, we are not meant to face life’s challenges alone. After receiving the news that our son would be born with Down syndrome, I sought out other parents who had walked the path I was now walking. I found comfort in their congratulations, encouragement in their photos and hope in their stories. I gained friends from across the globe, friends who spoke the same language as I. We said things like Trisomy 21, early intervention, low tone and spoke in letters like OT, PT, and ST. I know that at any point, I can share my deepest darkest feelings with them and they GET it. The don’t judge, they get it, they’ve been there too. I have had the opportunity to connected with many, even flying across the US to spend a week with an amazing friend, who wouldn’t be I’m my life had it not been for our sons. I am blessed to call many of them friends and confidantes. With Gabe came an entire tight knit community that spans continents. 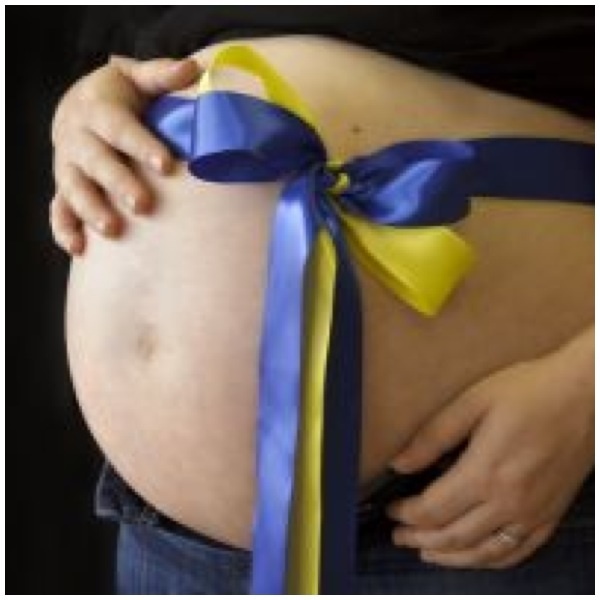 I am honored to be in a place where I can now, offer congratulations, encouragement and hope to new and expectant parents. It is through this community that I happened upon a request to sign a petition. The parents of a sweet toddler named, Delaney Skye have made a simple request to Disney. They’re asking for Disney to offer role models that children with Down syndrome can relate to; role models that children of any ability can relate to. Keston Ott-Dahl, Delaney’s mom and author, had this to say, “Disney has done such a great job inspiring children, generation after generation, to be good people. They are in a unique position to directly change the way future generations and societies view people with Down syndrome”. This is the chance for the children of this and future generations to see their childhood role models supporting individuals with Down syndrome and maybe even having their own Trisomy 21 hero. Allowing children to see kids with Down syndrome as the hero or heroine is a perfect opportunity for Disney to assist in moving from awareness to acceptance. 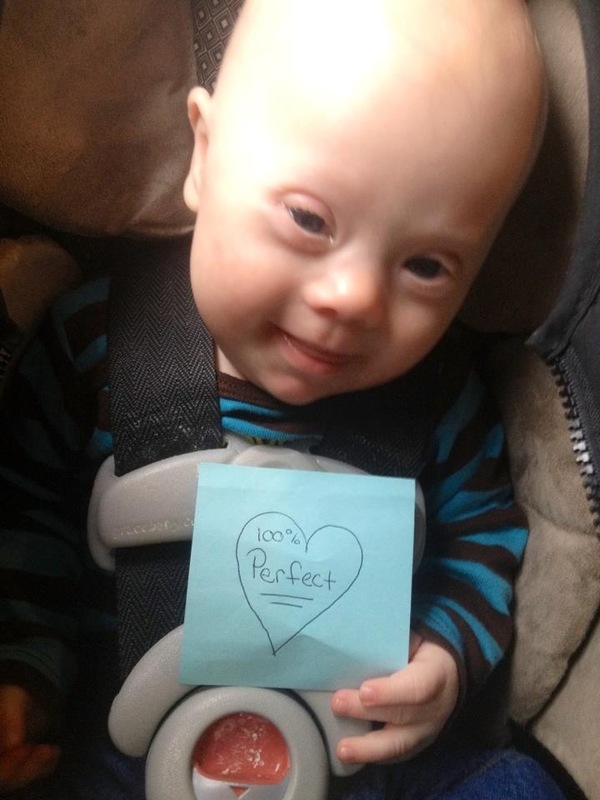 How inspiring it would be for a child with Down syndrome to see a child just like him or her save the world and be appreciated for their abilities? I have seen this community move mountains, change lives and alter the perceptions of those around them. Here is a chance for you to help continue the forward progression towards acceptance by altering the views of a generation. I hope that you will take time to sign this petition and to eagerly wait with me for a hero or heroine who’s chromosomes don’t matter. He also destroys things. Opens drawers, pulls things out, throws them on floor. When you confront him, he ducks his head and looks up from under his eyebrows with a sort of sorry smirk. He helps pick up, sometimes, or wanders off to destroy something else. He loves music, he will start to dance the second he hears it. He absolutely cannot resist participating in a round of Itsy Bitsy, or Twinkle Twinkle, no matter how upset he may have been seconds before. Gabe can make music from anything, even the fireworks during the Fourth of July celebration. Sometimes I forget, because Gabe is just that, Gabe. 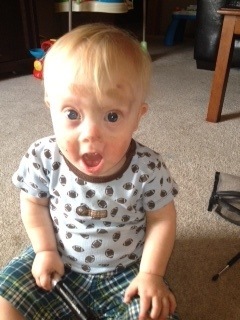 When I look at him I don’t see Down syndrome, I see my son, Abi’s brother, a sweet, willful, determined little boy. 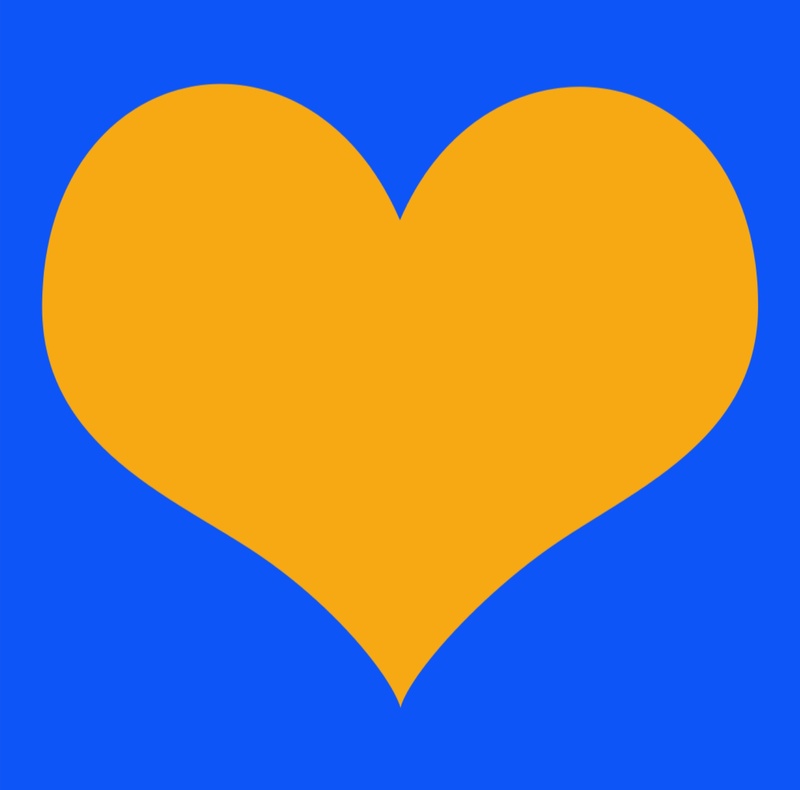 Sometimes I forget, and that makes it even harder when someone reminds me in a not so kind way…. Shock, horror, hurt and fury coursed through my body. I considered jerking her over the register and beating her senseless. I looked her up and down, I could take her…. “What you’re saying is that it’s okay for me to kill him while he’s inside, but not outside? In my book there isn’t a difference. For the record, we knew EVERYTHING about him during my pregnancy. He is our son now and he was our son then. There is no way in hell that I would let any harm come to either of my children. Including during the time that they’re so ridiculously considered disposable. 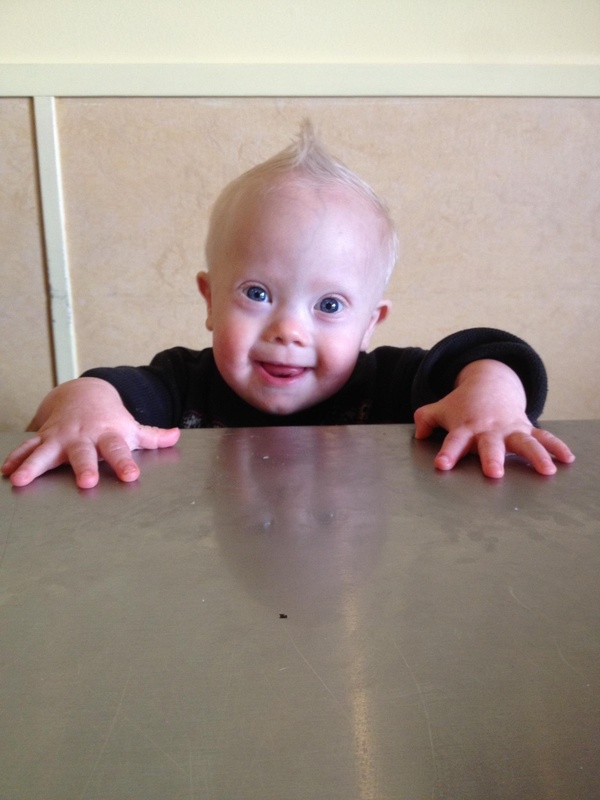 I had forgotten, that sometimes other people don’t immediately see Gabe, they see a “downs kid”. They see poor parents and a burdened sister. I sometimes forget until I glance up and see the pity in their eye, or hear the ignorant comments in not so hushed whispers. I sometimes forget that it’s not their fault. They just DONT KNOW. I sometimes forget that, that was me once too. 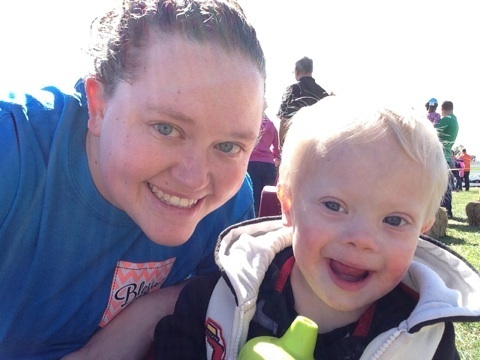 What I knew about Down syndrome before we had Gabe, was what I’d learned from my nursing text books. It was only enough to leave me sobbing hysterically and envisioning a listless, immobile, incapable child. Because I sometimes forget, is why months like October are so important to me. It gives our community a chance to spread awareness, to educate the public, to debunk the myths that are out there and show our children in a different light. It gives us a chance to move forward from just awareness to acceptance, so when were out in public and we are so taken by our children that we forget, that we aren’t reminded and shocked by the ignorance of others. 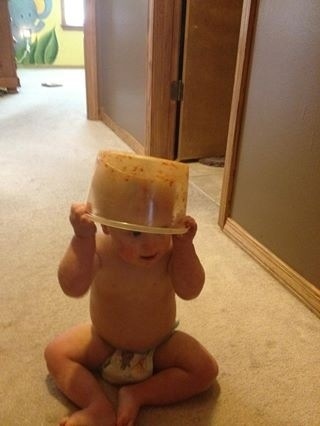 Sometimes Its easy to forget that our kids have Down syndrome. To us their just Gabe or AJ or Gavin or Max or Maddie. 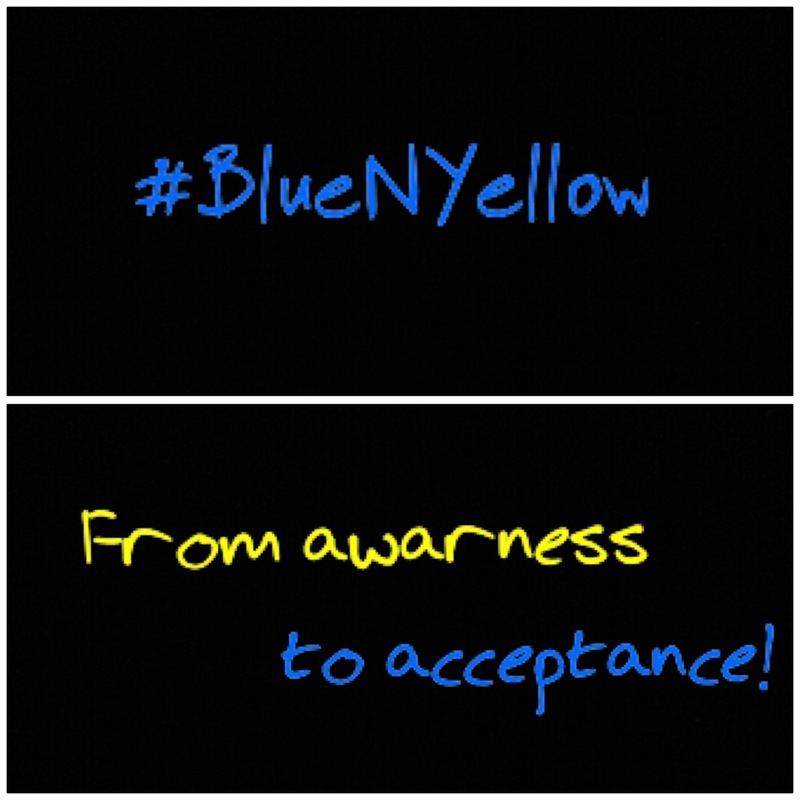 And that’s how it should be, and will be, if we continue to bring awareness and fight for acceptance; not just in October, but every day of the year. We all have our favorite time of year. Some of us even have our favorite months! While there are a few months that I’m pretty fond of, my favorite month just happens to be October. The leaves are usually turning colors and pumpkin flavored EVERYTHING begins to appear. There are fall festivals, pumpkin patches and of course those little pumpkin candies that I’m capable of eating my weight in. 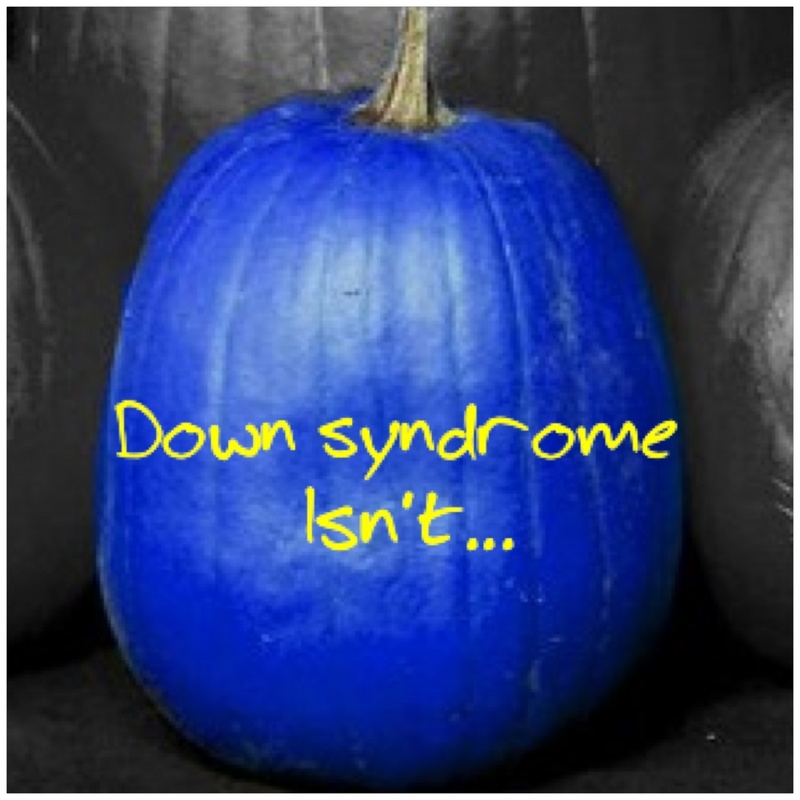 BUT all that pales in comparison to the fact that October is DOWN SYNDROME awareness month! Something that you should know, is that October didn’t used to be my favorite month. I always used to be quite partial to June, because someone I know has a birthday that month (and she’s pretty awesome, if I do say so myself). It wasn’t until 2012 that I learned how amazing October could be! Our son Gabe was born in August and was not quite 2 months old when October rolled around that year and my family was transitioning from having one child at home to having two. 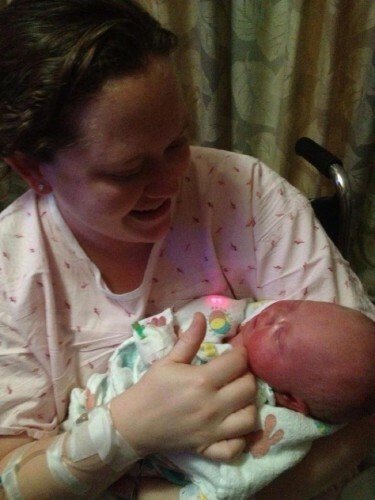 My husband and I were adjusting to feeding, clothing and keeping both children alive while our two year old was grudgingly accepting the the little thing her parents brought home was indeed staying, for good. Introducing baby number two into the family didn’t seem much different than welcoming baby number one, accept that this time around we actually felt like we knew what we were doing. The biggest difference was that Gabe brought with him and entire community. A community that I found, was celebrating during the entire month of October. The Down syndrome community celebrated anything and everything related to Down syndrome and worked hard at bringing awareness during the entire month. Awareness is the knowledge or perception of a situation or fact. 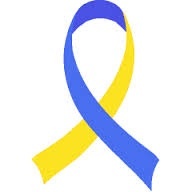 All across the globe, people are working hard this month to bring awareness to those around them by sharing facts and information related to Down syndrome. Some post blogs, some transform their Facebook sites, and some participate in events; the options endless. Each person and their unique abilities, allow them to share about Down syndrome in their own way and all of it combined paint a picture of this incredible community and the individuals that make it up. I want to start by sharing what Down syndrome isn’t. Down syndrome isn’t a disease, it’s not contagious, it isn’t an illness and its not something to be afraid of. Individuals with Down syndrome do not have to institutionalized, placed in separate classrooms, ignored, excluded or treated differently. 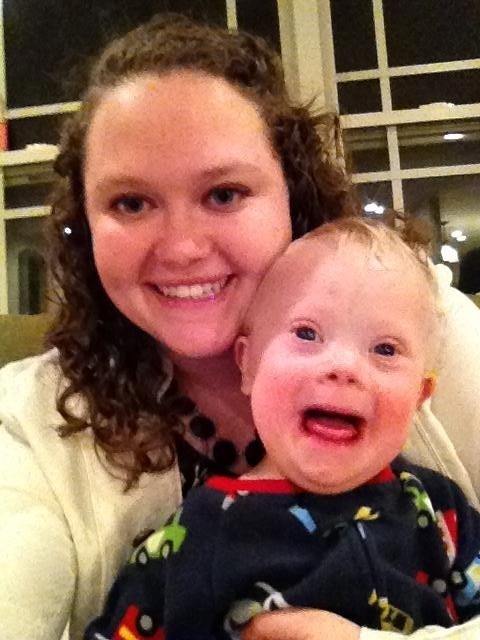 Down syndrome doesn’t destroy families, marriages, it isn’t a burden, or something that someone is suffering from. 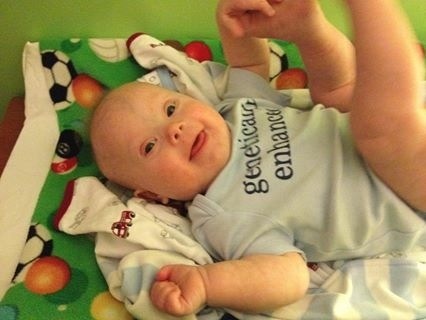 It’s a single extra chromosome in every cell. Ultimately, what that means, is that everyone person with Down syndrome is the same as everyone else, they just happen to have something extra inside of them. Today is only the first of October, that means that there are 30 more days that I get to share all about Down syndrome. 30 more days to celebrate all of the amazing things that the little extra chromosomes contains! Be sure to check back for tomorrow’s post….